Carrie Ann (Cook) Bucher, age 51, of Duncannon, passed away at home with her loving family by her side on Saturday, December 1, 2018, following her courageous and private battle with cancer. Carrie was born on Tuesday, August 22, 1967 in Carlisle to Doris Jean (Haffly) Trayer and the late William Howard Cook, Sr.
Carrie’s survivors include her loving husband of 34 years, Jeffrey “Jeff” Leon Bucher, Sr. of Duncannon; her four children: Jeffrey Bucher, Jr. and his wife, Amanda, of Duncannon, Allen Bucher and his wife, Precious, of Las Vegas, Jessica Hollenbach and her companion, Wes Snyder, of Duncannon, and Ryan Bucher and his companion, Jessica Welsh, of Lemoyne; her five grandchildren: Kase, Presley, Jeffrey III, Aaron and Chelsea; her six step-grandchildren; her mother, Doris Trayer; her two brothers: William Cook, Jr. and David Trayer; her two sisters: Deborah Lehr and Karen “Chris” Cook; and her beloved canine companion, Ottis. Carrie attended Cumberland Valley High School as part of the class of 1985. Some of Carrie’s favorite things were: reading, warm weather, being outside, the Sun, Easter, her painting parties, collecting teddy bears, the movie Top Gun, Kenny Chesney, Brooks & Dunn, getting her nails done, the color green, and carnations. Carrie’s home was the place where all of the neighborhood children knew that they were welcome and where they gathered. She enjoyed her swimming pool and trampoline. Carrie loved visiting Las Vegas and attending Beer Fest, she loved attending all of her children’s and grandchildren’s sporting events, she loved knitting and crocheting with her daughter, Jessica, sister, Chris, and her mother, Doris, and she loved Pokémon hunting with her entire family. She is forever loved and will be deeply missed. All are welcome to join Carrie’s family at her gathering of family and friends on Thursday, December 6, 2018, from 1:00 p.m. until time of service at 2:00 p.m. at Myers - Buhrig Funeral Home and Crematory, 37 East Main Street, Mechanicsburg, PA 17055; with Pastor Laura Kincaid officiating. Carrie’s family invites everyone to join them for a time of food and fellowship in the social hall of the Hampden Township Emergency Services Building - North, 1200 Good Hope Road, Mechanicsburg, PA immediately following the service. Cremation was private. Carrie’s family has entrusted her care to Myers – Buhrig Funeral Home and Crematory in Mechanicsburg, (717) 766-3421. 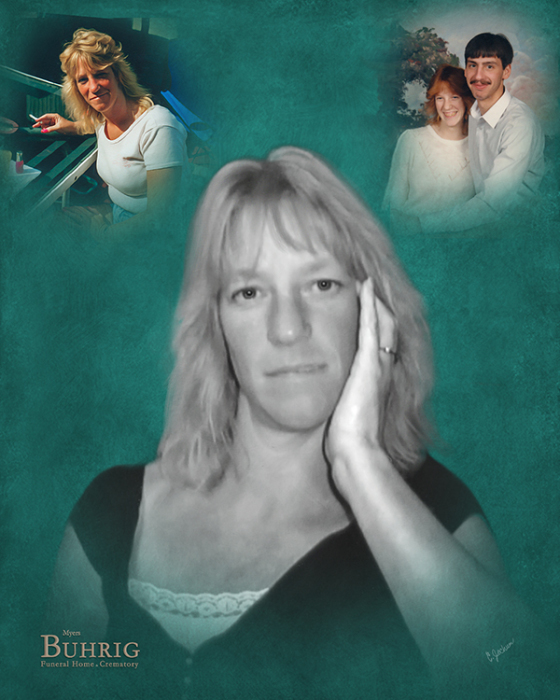 Read Carrie’s full obituary, view her memorial video and portrait, and sign her official guest book at Buhrig.com.